Another ode to Noisetrade. This EP by Emily Wolfe, one of four albums by this Austin, Texas based singer you can find on called website. An EP that laid on my shelf for a while, but finally came off with the right amount of noise. 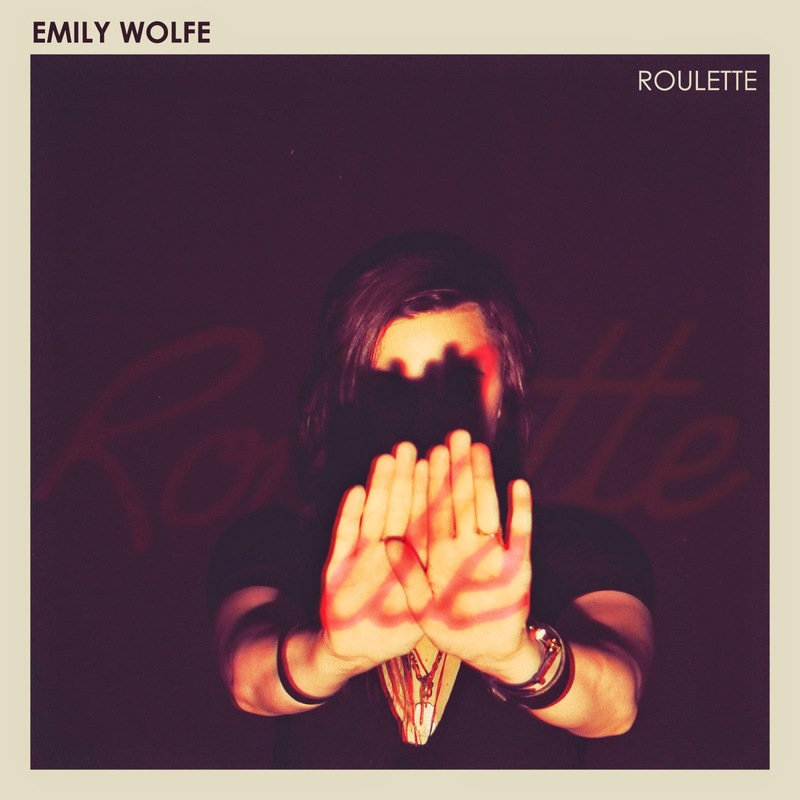 Roulette is a fun, rocking five song EP Emily Wolfe released in 2014. The album kicks up with the brooding, rocking darkness of a song called 'Ghost limb'. A pulsing sound like there are a ghost or two in my house is the start, before a load of stacked guitars are allowed to take over. Her voice does the same in the chorus. A lot of imagination went into the different layers of 'Ghost limb'. "I wanna use you up", Wolfe sings and seems to mean it in a rather undercooled way as if she doesn't care much about the effects. Next up is a 'Gold on the ceiling' kind of song. That is just fine with me. The T. Rex like rhythm is just fun. 'Baby, get it on', I say. Again dead cool is the way Emily Wolfe sings. It is the music that allows some of the necessary lightness. Some guitars, some keyboards and loud drumming. What surprises me is that, despite that, particularly, the rhythm sounds so familiar, this song is so good. Because who is Emily Wolfe? I have no clue, but a singer who released an EP of high quality for sure. By then it is also completely clear that Wolfe has nothing to do with the music most of the world associates with Austin or Texas for that matter: Americana, singer-songwriter, whatever -ana, but not alternative rock. This is the music that she excels in on Roulette. She's not alone though. All the guitars, voice and everything that can be pounded on not called drums is by her, but the band does the rest. Hannah Hagar sings also and plays synths and keys, Sam Pankey plays bass and finally Jeffrey Olson plays drums and percussion. The singing on 'Marionette' is lighter and somewhat higher, it is the lush guitar that does the trick in this song. The rhythm is distinctly different, making for a busy song with a lot of playing by most instruments. This is compensated by the more ballad like 'Violent veins'. A song that has a piano that could come out of Coldplay. The rock guitar in one of the corners is more Hendrix, for compensation, I guess. An interesting combination though, that brings some interesting lines to follow throughout the song. Roulette does fall, in a rocking kind of way, into the Coldplay realm of rock music. Songs with broad strokes, written and performed to be played on larger stages. For people who like their middle of the road rock in loud and exciting ways. The final song, 'Missionary son' shows just that. The fastest song on the album rocks out, driving, pulsating. At the same time Emily Wolfe proves that she's not afraid of letting some madness into the song. Truckloads of guitars that produce notes that are on the edge of fitting, while a piano rules wildly in the background.